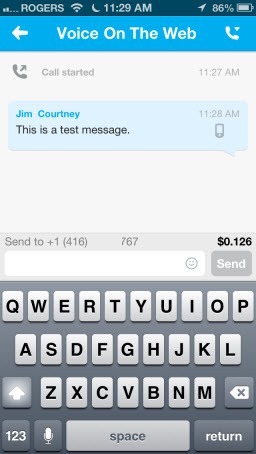 Note that the “Active Call” button in the Message Action Bar returns you to the call itself. 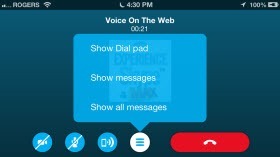 When making a voice call (no video) the options for the “Show” icon add in “Show Dial Pad”. 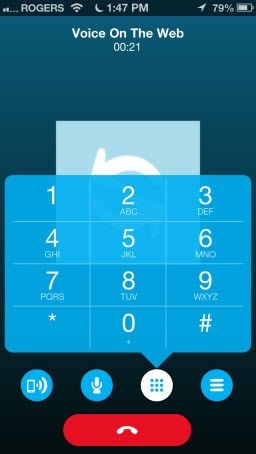 While normally one would only need the dial pad on a SkypeOut call to deal with an enterprise’s ACD menus. 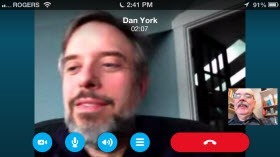 To check out “One-to-one chats now appear in the correct order” I compared the chat sessions shown in “All Messages” above with those listed under the “Recent” tab in Skype for Windows Desktop and found the order to be the same. 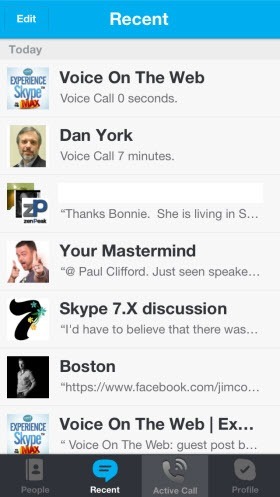 Note that when you first log into Skype on your iPhone/iPad it may take a few moments for all the relevant chat sessions to be listed. 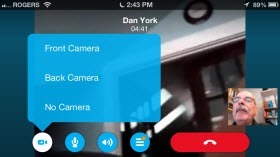 When making a SkypeOut call to a PSTN number the a similar call management bar appears; however when you click on the “Show Messages” icon, it will open up a window for sending an SMS message. 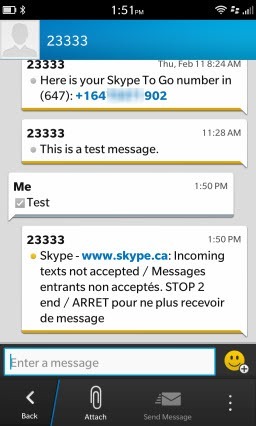 However, SMS messaging from Skype remains outbound only as shown in the attempt to send a response below. 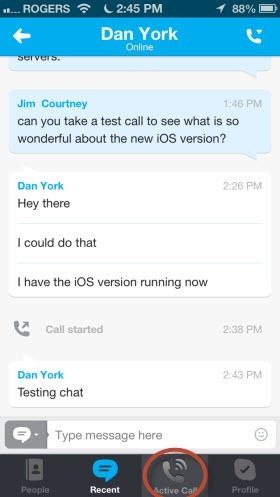 Make a few Skype for iPhone calls and provide your experience feedback in the Comments. 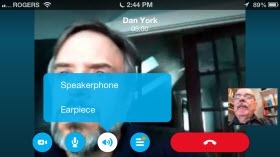 The Skype Garage Blog post also lists several resolved issues that make operation more reliable and intuitive as well as a few known issues. 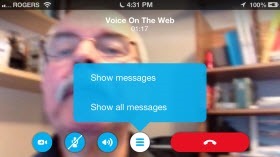 A separate post will cover the Skype for iPad 4.6 issues.